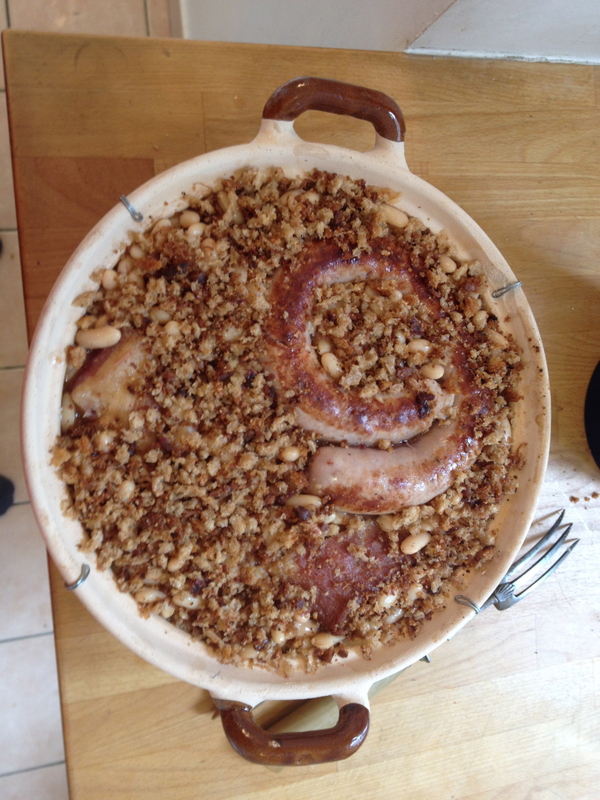 A lot of research and many pig parts went into this lovely cassoulet. Next time I make a cassoulet, I will schedule twelve hours of work in the vineyards before I sit down to dinner. Cassoulet is the most filling dish I’ve ever eaten. Published: October 11, 2013 Dimensions: 2448 × 3264 Posted in: Cassoulet Post a comment or leave a trackback: Trackback URL.